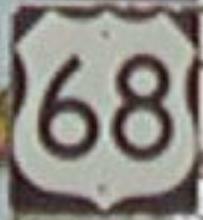 U.S. Federal Route 68 is a east-west highway in Central Fayette County. It runs from the Jessamine/Fayette County Line, near the Waveland State Historical Site, to the Bourbon/Fayette County Line, near Clintonville. U.S. Rt. 68 passes through the following town in Fayette County. U.S. Rt. 68 is multi-plexed in Fayette County. U.S. Rt. 27, from Lexington to the Bourbon/Fayette County Line. U.S. Rt. 60, at Lexington. Kentucky Secondary State Route 1973, near Lexington. U.S. Rt. 68 intersects the following highways in Fayette County. 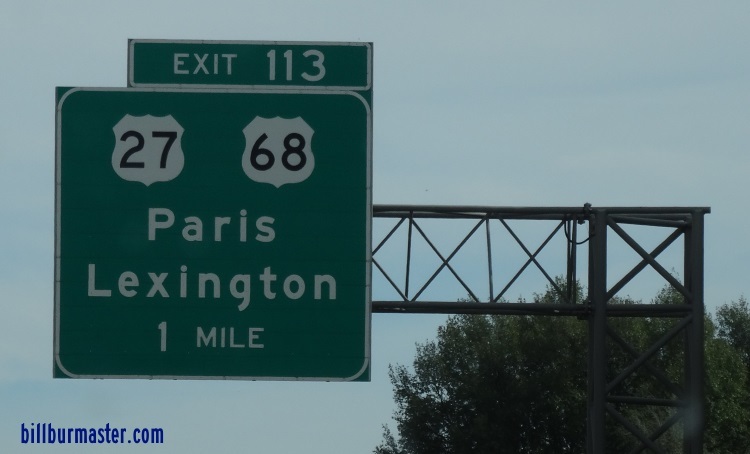 Kentucky Secondary State Route 1267, at Lexington. Kentucky State Route 4, at Lexington. U.S. Rt. 27, at Lexington. U.S. Rt. 25, at Lexington. U.S. Rt. 421, at Lexington. BY-PASS U.S. Rt. 421, at Lexington. Kentucky Secondary State Route 3367, at Lexington.